World War II was only 12 years in the past when I was born. For me, “the war” was this thing. Clearly, it was the focal point of my parents’ lives and of the lives of all their friends, but to me, it really was just “a thing.” We kids used to go to a place called Sonny’s Surplus—there were several stores around Baltimore—and get pistol belts and canteens and .50 caliber machine gun bullets (minus the primer and powder, of course.) I remember paying a nickel each for two cartridge pouches stamped, “KC 1943.” We used all this stuff to play army. It all meant so little, that I wore my dad’s sailor hat to the beach. Again, the war was just a thing and the matėriel from that war were just so many props for our games. 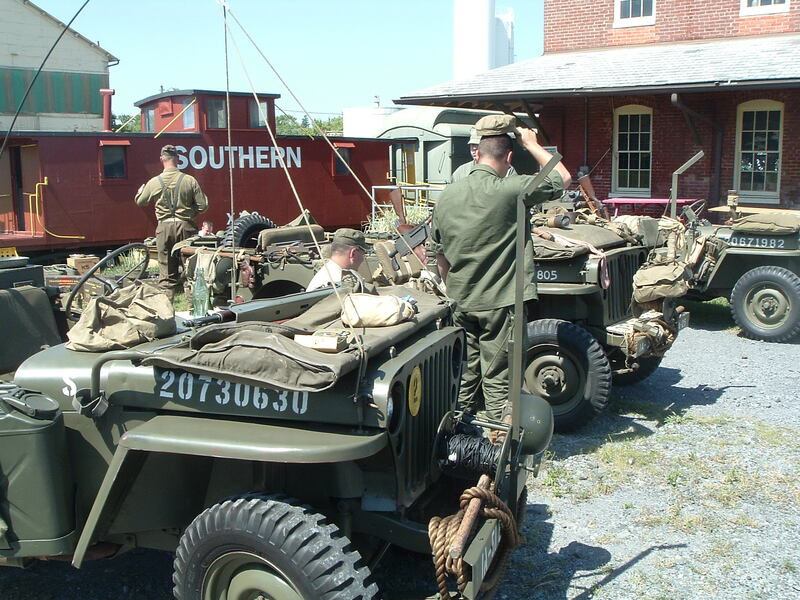 WW II event in Strasburg, VA at the old train station, now the town museum. 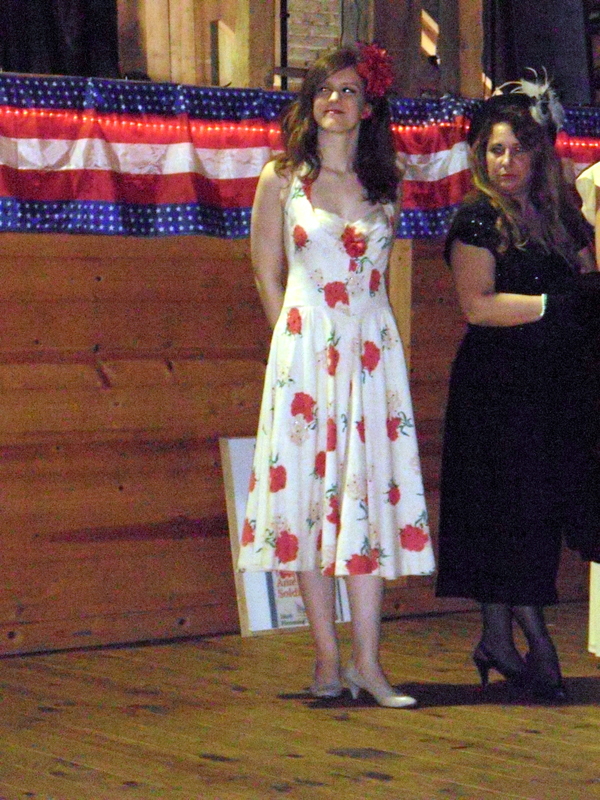 Our daughter, Becky Dice, in the WW II fashion show from a few years back. As many of you know, our former home town of Williamsport began hosting a World War II Weekend, which included a USO dance on Saturday night featuring Jump Alley. This year will mark the tenth anniversary of the event and I will be attending for the ninth time. It is through dancing to the music of the time that I add my small piece to the reenactment picture. I never felt comfortable donning a military uniform and reenacting the role of a serviceman. I never served in the military and frankly, I don’t feel I’ve earned the right to wear the uniform, even one from 70 years ago, but my mom loved to dance and I think there is something to be said for reenacting, or perhaps, more accurately recreating the joy my parents also must have felt. This entry was posted in Writing and tagged coming of age during WW II, growing up during WW II, Sonny's Surplus, The Secret of Their Midnight Tears, USO dance, Williamsport's World War II Weekend, WW II. Bookmark the permalink.